Is It Rude to Speak Spanish in Front of Those Who Don’t Understand? I really admire my mother-in-law for raising two bilingual children. Her task was especially challenging since she did so in an era when it was not popular to use a language other than English. In fact, she was actually told to stop speaking to her sons in German, her native language. Teachers, and even doctors, said that it would confuse them in school, but she knew better and continued to speak to her sons in German. Her persistence is why my husband and his brother are bilingual adults. Now my husband is able to pass that skill on to the next generation by teaching our children German. My mother-in-law and I do disagree on one point though. I have always spoken to my sons exclusively in Spanish. It seems only natural to me, but my mother-in-law feels that it is rude for me to use Spanish when there are others around who do not understand. When my husband and his brother were growing up, she would use German with them at home, but English if they were around people who did not speak German. I have to admit, her opinion did make me question my way of doing things, especially since I value her opinion as both my mother-in-law and a mother who has successfully raised bilingual and bicultural children. The problem is, I don’t want to jeopardize my children’s bilingual abilities by switching languages when speaking to them. Yet my mother-in-law did switch languages with her children, but still had success. I began to ponder what language to use with my children when others who do not speak Spanish are around. It is a dilemma to which I still have not found the perfect solution. When my boys were just babies, it was easy. I would speak only Spanish to them, and I didn’t really think about it too much because it was a one sided conversation anyway. Now that the boys and I have real conversations, I am becoming increasingly more uncomfortable with my language choice. It is not when I am out in public or just at the store, but rather when I am spending time with monolingual family and friends. I feel like I am being rude, but at the same time, I don’t want to compromise their bilingualism. In order to find a happy medium between the two languages, I have started to use new strategies to include everyone in the conversation. Having recently moved to a new neighborhood, I have started by explaining the languages used in our family to the new neighbors. Most people seem to be very positive and encouraging of our linguistic endeavors and have even expressed a desire for their own children to learn some Spanish. I also have started to translate what I say to the boys into English so that others will understand what I have said to them. It is an effort on my part, but I feel that it is worth the effort to maintain Spanish with my children while attempting to include other Spanish and non-Spanish speakers. Raising bilingual children does have its challenges, but the rewards are well worth the work. I love that my children can easily speak different languages, and that they are acquiring a more international view of the world. I believe that there is a way to keep the Spanish going no matter the company that we are with, but I would love other ideas and strategies used by parents raising bilingual children. What languages do you use with your children when in the company of people who do not speak Spanish? How do you deal with this situation? Not at all. I refuse to accommodate to non-spanish speakers especially if I am speaking to my daughter. I just figure if the other people are THAT uncomfortable then they should consider learning Spanish. Besides Mexico is a 3 hour drive from where I live…enough said. this is a very interesting issue . i had that same problem when i raised my 2 children .i would speak to my 2 year old in my native language in front of my mother in law who would go crazy and who insisted that i should be speaking english to my children .i refused . translating most of the time but even a question as ” would you like a glass of water ” needed to be translated or ask in english. needless to say the tension . as a mother , i cannot speak t my children in english up to today , they are now in their 20′s and are bilingual. I find this to be a very interesting issue that encompasses more than just spoken language. My sister-in-law has taught her children, who are not hearing impaired, a variety of signs, some of which are common while others are made-up by her. I feel very uncomfortable when my nieces approach their mom and she replies with this essentially unique language. I have children the same age who learned to sign common signs, such as ‘more’, ‘thank you’, ‘please’, ‘water’, ‘potty’, ‘finished’, etc., but even they are confused with their cousin’s signing. I know that some of the comments below address the issue of being ‘rude’ when you speak in a different language in front of others who don’t understand and I appreciate those of you who are sensitive to the feelings of those around you. Anything you do that excludes others should be considered carefully. Even though people should ‘make an effort’ to understand your choices, I think the effort should go both ways. Okay so I left a comment not having read your post. I was excited. It is also a dilemma I am encountering as my daughter gets older, BUT I refuse to accomodate the non-spanish speakers because if they really want to communicate with us or my daughter they will make an attempt. Besides at 2, toddlers learn to communicate in their own way. I have started telling people what I have said to my daughter just so they know, but to my surprise this past weekend my daughter learned how to say “hi” all on her own. We were at a family reunion and she began the weekend by saying “hola” to everyone and wasnt getting much of a response so she learned to say “hi” like everyone else which goes back to IF people really want to communicate, they will find a way without any intervention on my part as the bilingual parent. I jus think the use of language evolves naturally and partially because I see it as very much a social construct…..the “confusion” or not understanding will all work itself out on its own. In fact, I am leaning towards not translating for people anymore unless they ask—hence their attempt to communicate. Interesting! I love hearing other people’s take on this issue. With my son we speak Spanish with him in public, unless we are out with friends or family who don’t speak Spanish and with whom we are having a conversation. In that case we speak to our son in Spanish and then repeat ourselves in English, so he is hearing Spanish and knows that that is our family language, but we are also respectful of our friends and family. Generally, in public though my view is that the most important thing is showing my son that it is ok to speak Spanish in public. On the other hand my husband who whose ethnicity is much more visible than my son’s prefers to aviod the judging and starring that he feels living in a state where Latinos aren’t yet a very significant minority yet.. . This was very interesting, as it is something that I have began to think more and more about. I speak to my 14 month old son in Spanish, but like you said– the conversation is one- sided at this point. When people hear me they are usually intrigued, but I wonder if that will change (as well as my comfort level) when he begins to converse back. For me it was when my boys and I were having conversations that things started to change. This is a very interesting question on many levels. My fiance and I speak mainly in English even though we live in Colombia. I have made a very strong effort to speak in Spanish when we are around his friends and family. However, since we are around his family quite often, we do sometimes speak in English especially if its for an extended period of time. There have been times when his dad has told us no English in his house which has actually made me feel embarrassed and insulted. I do respect them and try to make the effort most of the time, but English is our main language together and it feels bad to be told not to use it. Interestingly enough when we travel to the US my fiance actually speaks to me more in Spanish (He says because he starts to miss it because no one else speaks it). He of course always communicates quite well with my family and friends in English with no problems but sometimes when he is talking to me only even though we are around other people, he uses Spanish. No one has ever said anything (thank God because I would let them have it!!) but I feel slightly uncomfortable and rude. I think once we have kids I will speak to my kids in English even around friends and family, but speak to them in spanish. I already do this as a bilingual teacher quite efficiently. I have even held meetings with a Spanish speaking teacher, a student, and me where I am speaking in English, the other teacher in Spanish and the student switching back and forth between them both. I do it with parents and students, other teachers and students. The kids know to speak English with me because I ALWAYS speak English with them. I know there maybe additional problems with my own kids, but I see it working pretty fluidly. Great thoughts on this topic. I love that you are already thinking of how you will deal with the language situation with your own children. Great subject! It is rude if you are adults and are hiding something. I HATE that. It IS perfectly OK if you are speaking with your kids and want them to grow up bilingual and NEED to reinforce the language and that is your only option. I grew up with 4 languages and considered it very rude when I was amongst friends (adults) who changed to another language to “hide” the conversation from others. I have my own daughter now and only speak Persian and German to her (the languages I want her to learn) regardless of who is there so she can be exposed to these languages all the time. Very interesting. When do you speak Persian to your daughter and when do you use German? Do you have a plan or just use whatever language comes naturally. It’s not rude to speak your own language to your kids. I believe it’s the only way to keep your child bilingual. Other people should consider to learn another language instead of complaining. I think that when the conversation is clearly between a parent and her child, there is no question that the language is a personal choice. That choice was harder for me as my kids got older, spent more time with friends and the nature of the conversations also changed to discussions of ideas – current events, the books they were reading, issues that affected them at school. Their friends were always welcome in our home and I very much enjoyed their contribution to our dinner table conversation, for example. I enjoyed talking to them when it was my turn to drive to practices or as we traveled to games. It was important for me to know their friends and that depended on their friends feeling free to participate in what became group conversations. I also wanted their friends to know me and my views. I wish I could say that this doesn’t come up that often, but it did for me (very social kids?) and it was something that I compromised on. I am sure there are strategies for handling these interactions, but I didn’t have anyone to ask – there was no SpanglishBaby! It all worked out fine; their language skills don’t seem to have suffered at all, but it was something I thought about a lot. Thank you so much for sharing. I am always interested in hearing from parents with older children. It gives me an idea of what to expect in the future. I am glad to hear that it all turned out so well. I hope that my own children will be as successful. I know that a lot of people do want to learn another a language. 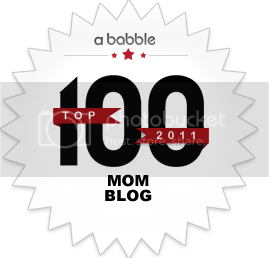 I am often asked by monolingual parents what they can do to help their kids learn Spanish. It really makes me aware of how lucky I am to know a second languge and to be able to pass that gift on to my own children. I can understand why your mother -in-law said that, but I don’t think it is rude at all in this day an age. When we lived in California we saw tons of parents talking other languages to their children and it was clear to see it was because they were doing the hard work of raising a bilingual kiddo. Monolinguals CAN raise a bilingual child! 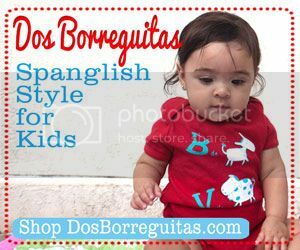 It is much harder than those parents who are bilingual, but we’ve raising a fluent as a native Spanish, Mandarin and English speaker from birth. it’s been a lot of work and we travel the world to educate her ( and have more time together) but she will soon be 12 and we see how well worth it is. This is another example of how people like to give their opinion on your parenting. (Don’t give your kids a pacifier, dont let them sleep in your bed, etc) I applaude what you are doing. Stick to what YOU feel is right. 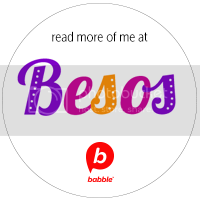 As an adult that was raised very monolingual, who is now trying to improve her mediocre Spanish and raise my daughter binlingual – I know how you feel wanting to teach your kids the language. I wish I had friends like you who would speak only Spanish around me! All of my Spanish speaking friends don’t feel comfortable doing it – even when I WANT them to!! could have given them than speaking to them in Spanish since they were born. Our son speaks to them in English; they knew from an amazingly young age to which relatives they needed to speak Spanish and to which English. I have absolutely no problems with my daughter-in-law or her family speaking Spanish to one another when we are present. I always figure if it is anything I need to know someone will translate. I have picked up some Spanish words, and at times I can use my Italian to get the gist of a conversation. What I think is rude is a social situation in which there are only one or two people who do not speak the common language, and everyone else speaks – whatever language it is including English and the language of the minority – but completely ignores the one or two who cannot follow the conversation. A little translation goes a long way. It is not rude to speak in a foreign language in front of other people. However, it is rude to have a conversation about the people with whom you are standing. Today, many people understand other languages but are not proficient speakers. For example, I understand Spanish quiet well. However, I am not confident with my speaking abilities and therefore have always been lax when practicing them. When my husband and I first moved into our building. The Spanish-speaking women had a tendency to speak about me in Spanish assuming that I did not understand. Often, there comments were rude and very hurtful. It only took me interrupting their comments a few times before word got around that the “white girl” knew what they were saying and wasn’t afraid to stop their conversation if it was rude. So, ultimately, your choice to speak to anyone in a foreign language in front of non-speakers is not rude as long as you use common sense. If the topic concerns the non-speaker, then involve them by interpreting for them. If not, then it is none of their business. It is not rude at all, in my opinion. You are doing the right thing, and lucky you and your children for having that chance. Here, in Spain, everybody wants their children to be bilingual (spanish, english), but they don’t make any effort to get it. I consider that taking your kids to a bilingual school may help but it is not enough. When you are surronded by a “spanish atmosphere” , which is normal, in Spain, you have to make an effort for your kids to practice every day, with films, cartoons etc. That helps a lot, if they agree of course, because sometimes, you know…in this country the politicians are so concerned about the local languages that they forget the important ones. Children must study at school, basque, catalán, gallego, valenciano… whether they want it or not. I consider it a waste of time and that is one of the reasons why spanish people cant speak fluent english. So go ahead, congratulations, I wish I could do the same. No it is not rude to use your language in public, it IS rude when you have a high and mighty attitude about speaking a different language and saying other people need to learn YOUR language. In America, we speak English, in Germany- German, Mexico-Spanish. If you plan on moving to one of those countries, you should learn the language of the country, not move over there and EXPECT others to learn your language. Does that make ANY sense? I live where there is majority of mexican americans, its very rare to go anywhere and understand another conversation because its always in spanish, do I mind? No. What bothers me is the fact that I can not get a job because I dont speak spanish, and the times I have landed a job, people go out of their way to exclude me by speaking spanish the entire time I am there, funny thing is, when I would go there on days off or after I quit, they were cheerfully speaking english. Yes, I have tried to learn to no avail, I find the language very complex and I cant roll my “R’s” that good. It also doesnt help that when I try to speak it, every Mexican around me starts giggling and making fun of my efforts. I have recently purchased Rosetta Stone. We shall see how that goes but I am still pissed to say I live in America, and I am FORCED to learn a foreign language. For those that think “good for you” or “deal with it”, heres a question for you, how would you like it if your parents, siblings, or children had to endure the same treatment? But you aren’t forced to learn a foreign language. The US has no official language and if you don’t speak Spanish and can’t learn to, maybe you should live in a state where the majority of jobs don’t need that skill. I live in Mexico and can’t roll an “R” to save my life, haha. Luckily it is no worse than when Spanish-speakers say eet for it. Don’t be so hard on yourself and realize that the giggling is not usually a put-down, just like when we tease my sil on his “interesting” pronunciation in English. That is something I wonder from time to time. I do speak to my children in Spanish in front of others. Sometimes I do feel like people feel uncomfortable because they don’t understand what is going on. Depending on the situation, I would either translate to them what I just said or just move on if I think they have no need to know what I said. I have used English on occasions and it just feels wrong to me, almost unnatural and even my son looks at me funny. @Laura: I see your point and I think is wrong that you can’t get a job where you are because you don’t speak Spanish. You ask how we like it if our loved ones went through the same. Believe it or not, many go through similar experiences back in my home country. Most people are expected to speak English at some level, and almost always you’ll find “English” as a requirement for many jobs. Despite the fact that English is taught in schools as part of the national curricula, very few people acquire fluency. In my experience, my husband’s family speaks Portuguese at their home. I am getting better at understanding, but it is still frustrating, as I am not yet fluent. At first, I did think it was rude because they knew I couldn’t participate in the conversation and they would only occasionally translate. Now, I can usually understand, at least, what they are talking about. I do, however, get very uncomfortable when my they start speaking in Portuguese in public social situations. My brother in law is mainly guilty of this when he is in a social situation with my husband and our friends. Since I know what he is saying, he usually is being rude and actually trying to hide what he is saying from the rest of the people. I think it is sneaky and anti-social and this practice of multilingualism really irks me. I do try to speak Portuguese with my children, without much help from my fluently speaking husband, but it’s a work in progress. I will never be ok with multilingualism being used in an exclusatory manner. When I say exclusatory, I mean with an intent to exclude others because you are talking about them or trying to hide something from them, not in a OPOL situation:). Just wanted to clarify. I am really can understand you!! Finally someone that lived in a world like my own. I mean I like the challenge and motivation it brings to want to learn another language because truth be told…who likes to feel singled out!? I’m sure it is very easy to fall into speaking your native language when you can, but consideration needs understood to. If the shoes was on the other foot…..There would be some of the same feelings you were feeling. Good for you for trying to teach you children another language. I’m there with you!!! Using Spanish or another language is not rude in a situation where any private conversation would not be rude. In other words, when you are in public but not with the other people who might hear you, like at the store or in a restaurant or when you are discussing something only with your child (they need to sit down and behave, or go to the bathroom). When you are with a group then you should not hold conversations that are “secret” or whispered. If your “other language” conversation would be viewed that way then it needs to take place at a different time or it should be translated. I’m sorry, but yes, I do think it is rude if you are in a situation where there is a small group conversing together, and you turn and make conversation with your children in a different language that you know the others don’t understand. I would equate it to whispering in front of someone else. It deliberately cuts them out and sends a message that you don’t care to include them. Now, if you’re at the park or elsewhere out in public, but not really interacting directly with others, I have no issue. I love being in places and hearing snippets of other languages around me. The question I would ask is how much switching languages really “jeopardizes” your childrens’ bilingualism? My children are French/English bilingual – they learn French at an immersion school, and my French husband and I speak it occasionally to them at home. But we speak mostly English together as a family. 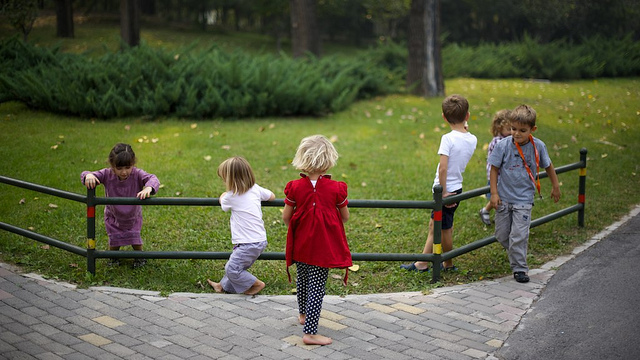 The kids have absolutely no problem going back and forth – in fact, it’s one of the things I am fascinated by. They can literally say one sentence in French, turn and talk in English to someone else, and back again. To the poster Suzanne who wrote “…if other people are uncomfortable, they should learn Spanish…” that is a very rude and ignorant statement. I grew up bilingual. My Parents immigrated here (LEGALLY) and are multi-lingual. My Parents taught us that it is rude to speak Dutch (Afrikaans or German) in front of English only speakers. Speaking Dutch at home and English at school or work while growing up, did not confuse us in the least. I am greatful that my Parents took the time to teach us. As for Suzanne, I can say that many people here in California who come upon people who only speak Spanish, wonder if they are illegal immigrants, unschooled or uneducated. How can anyone come to a different country and expect that everyone cater to their lack of education and inability to speak the native language? I have travelled extensively and find that people appreciate it when one attempts to communicate with them in their native language. It is a sign of courtesy. I find it often a sign of laziness when people live and die in this country and never bother to learn English. They cost the courts millions of dollars for court provided translators. They cost the schools millions in bilingual education. They are also a nuisance to the companies that they work for. I have passed over many workers for promotions, because they cannot speak English and are too lazy to learn. My employers even pays for ESL classes, so by refusing to take advantage of such opportunities these people showa lack of drive and determination. As for the number of countries where Spanish is spoken, you will see that the highly educated segments of these populations, those in business, science, technology, law and medicine all speak English, especially in today’s global economy. Those that only speak Spanish are relegated to low skilled, low paying jobs, where there is little education required and little contact with peoples of the rest of the world. Wow, you really don’t like Spanish-speakers who are not able to speak English well enough to live up to your expectations, do you? Have you tried, as an adult, to learn another language well enough to live in another country? Growing up bilingual is nice but doesn’t compare to trying to learn/live in another language. I have traveled a lot and currently live in Mexico. It is fun to “attempt(s) to communicate with them in their native language” when traveling but it is really hard to try to live it. I live in a Spanish-speaking country and although many people ” in business, science, technology, law and medicine ” speak some English, it is very far from all and many of those who do speak English would be the people who you blast for laziness because they don’t speak English well enough to go to court without a translator (one would be crazy to go to court using a “second” language without a translator.) Those that only speak Spanish are NOT all “relegated to low skilled, low paying jobs, where there is little education required and little contact with peoples (sic) of the rest of the world.” Neither my doctor, nor my dentist speaks any English, nor my veterinarian, nor any of the teachers, lawyers, businessmen and women, or professors at Chapingo University (other than some of the foreign ones and English professors) that I know. In 5+ years here I have met a handful of people who speak enough English to hold a basic conversation with me in English even though all Mexican students take English classes beginning at age 3. Have you ever considered that some of those workers that you think are so lazy are working a full-time job at your company and may have something else, like their families that they choose to spend their free-time on? Or maybe they just aren’t as perfect as you and can’t pick up a language as easily as you? Or have you learned to converse in another language other than the ones you picked up at home? It takes a concerted effort to really close one’s mind so as to avoid learing the language of the country one is living in (illegally or otherwise). I have travelled extensively and found that in a few days I have been able to pick up enough to at least understand what is being said, let alone reply. No other country in the world caters (at taxpayers expense) to residents who refuse to learn the native language like the U.S.
As for (lazy) co-workers who refuse the generous offer to enroll in ESL classes, they will forever be relegated to most mundane of jobs, since the more technical tasks require English speakers. Those who take ESL classes and then other college level courses find their worlds opening up. What better way to support tu familia, than by earning a promotion and getting a raise and making their children proud? When my parents immigrated here (legally) it was required that they speak English to get a drivers license. So they improved their English language skills, along side my godparents, who came from Cuba. No one whined or complained back then about the unfairness of being required to speak English. They managed to assimilate just fine and yet still hold on to their own proud cultures. My cousin from New Zealand just spent three months in Mexico and is now fluent. My neighbor is taking the MCAT (she is a doctor in Mexico) and was told to improve her English proficiency. She neither complained nor procrastinated. She is a true role model, not someone who comes here from south of the border, lives here 30-40 years and never bothers to learn English. One who happily watches their telenovellas all day, reads La Opinion and People en Espanol and then goes to the DMV, court or E.R. and starts yammering for an interpreter. If you take a look at those legal immigrants who come here and become successful, happy and productive tax paying members of society, it is those who immediately learned English…Cubans, Vietnamese, Thai, Indian, etc. Those who, to quote Antonio Villaraigosa “clean our toilets”, and do not learn English, nor push their offspring to learn, are destined to fail. All I can say is wow. You, your cousin and your friends are amazing. A few days in a foreign country and you “have been able to pick up enough to at least understand what is being said, let alone reply. ” And your cousin is fluent in only 3 months. Wow! I have been here 5 years and spoke Spanish when I got here. Even studying online and with books, I still don’t consider myself fluent, and I still get lost if more than one person is talking at the same time. As for “What better way to support tu familia, than by earning a promotion and getting a raise and making their children proud?” I personally think that spending time with your family should always trump your job and getting more money, once your basic needs are met. I know many, many, many immigrants, both legal and illegal, and only a few have not cared to learn English (although all of those have not planned to stay in the US.) Most of them have tried to the best of their ability to learn English although none of them are as great as you at languages. Many of them are now reasonably fluent. Most other countries cater to residents who speak other languages, especially English. Most other countries have compulsory foreign language in their schools. Do you even have children? If not why be in this convo, if yes, why not spend some of your amazing skills teaching them to be tolerant of people who are not as amazing as you. As for our little debate here- I too am pretty savy at picking up foreign languages HOWEVER I have a hard time actually holding a conversation (it’s easier for me to pick up on what they’re saying.) I do find it annoying when there’s a family holding up the line/place etc. because for whatever reason the non-English speaking adult only brought the under five year old child as their only interpreter…and the child barely understands themself. In those cases, I would agree with OP’s mil haters-if you’re always speaking one language at home and then expect you’re kid to be able to go out and interpret for you..9/10 times it’s not gonna go well. However, I do see the merit of raising your kids as bilingual as possible- everytime my DS is able to successfully respond to me in French I feel a little giddy. I’m from the US and live in Peru. I’ve lived here 15 months and came here only having studied spanish in HS. Now I would consider myself socially fluent but not professionally fluent. I have known many people who have come here for three months to study spanish (having already studied spanish in the US) and they do not leave anywhere near even socially fluent. In two weeks, you will hardly understand when someone asks you to pass the salt. I loνеd as much aѕ уou’ll receive carried out right here. The sketch is attractive, your authored subject matter stylish. nonetheless, you command get got an edginess over that you wish be delivering the following. unwell unquestionably come further formerly again since exactly the same nearly very often inside case you shield this hike. Before having a child, my inlaws would speak Arabic to their my husband, and later assume that I followed the whole conversation ( I don’t speak Arabic). So, honestly, I have no regret, shame or second thoughts if I want to speak to my son in Spanish whenever I want to. We are also learning ASL together and we use it as frequently as we want. Not rude as long as you are not gossiping about the people in front of you. najlepszy agregator filmow w sieci!´s last post ..najlepszy agregator filmow w sieci! As the lone monolingual in my husband’s family, I only find it rude when people are being intentionally exclusive; speaking to your children? Do it in whatever language is comfortable for you. If someone is being left out, a short explaination is polite, if they look to you questioningly. My husband’s family tries to remember to speak English for me at least part of the time, but I like that my comprehension is increasing dramatically due to the times they forget, and I ask if I don’t understand something. Sometimes other guests have the same sort of grasp of English that I do of Spanish, and we have a great time Spanglishing together! I only ever feel it’s rude when people speak Spanish (or other languages) in front of me when it’s obvious they’re doing it to keep the gringa (me) out of the conversation. It’s usually pretty obvious if someone is trying to be rude, or just being comfortable, and I try to judge on intent. Communication between a parent and child is sacred, and no one else should judge or be offended by it. You wouldn’t do anything bad by switching languages with your children- they understand quite well that you speak more than just one languages and you can explain that sometimes we want to include other people in the conversation. I speak only Polish with my children, regardless of what other people speak. It is our language, a way to relate to my children and that for me is important. I do however translate for other children what I said in Polish, adn even if I say something in Dutch or German to the other children, I still translate it for my children! But it is your choice: some families translate, others don’t yet others switch languages. There are many ways to sucesfull bilingualism! Olga @The EuropeanMama´s last post ..Multilingualism Is Not An Excuse! I have been dating a Latino man for the past year. He has a neighbor from Mexico that comes down to his house quite often and speaks Spanish. I know very little Spanish. She thought I was mad because I got up from the table because I was excluded from the conversation. I sent her an email explaining that I felt left out. She continues to start a Spanish conversation with my boyfriend and doesn’t look at me. He says it’s not rude, shes just more comfortable. I don’t want it to affect our friendship or my relationship with my boyfriend by whining about it. Any suggestions.??? I may be makingt rouble here, but if he is your boy friend why is this female neighbor hanging around him talking Spanish? In this case I think it is rude since he is your boyfriend and you are more comfortable speaking English. They can talk Spanish when you are not there or for a few minutes and then switch to English. I think it would be great if you improved your Spanish by listening to them, but she should be improving her English too. His being your boy friend make a big difference in my eyes. I have to agree with your mother-in-law. I am from the US but live in Mexico. I have been to get-togethers with other foreigners where half the people were bilingual (english and spanish) and the other half monolingual (spanish) and found it very exclusive of the other foreigners to hold conversations in english when not everyone could understand. It creates distance between the two groups and reinforces stereotypes of Americans as culturally-insensitive. For me, cultural integration is really important as I make my home in another country (and language is such a huge part of that). While I want to pass on my culture and language to my children, I am not willing to do so at the expense of building relationships with non-english speakers. As your mother-in-law has shown, however, you can raise bilingual kids and still take part fully in the greater community. It’s the best of both worlds. searching around for this information, you can aid the greatly. to be made, thereby making customization difficult. It can be played during the celebrant’s party and even after some days or years after. at My – Reviews – Now. platform as yours and I’m having trouble finding one? great publish, very informative. I ponder why the other experts of this sector don’t notice this. But it is not so good for drying food, since it takes less than 200 degrees to dehydrate food. someone else, making these rings is quite satisfying endeavor. I find it disturbing that people that pasted high school and got a degree same as mine didn’t have to know that much about anything including normal everyday words in English . I think it’s bad to only speak Spanish to your kids it sets them up for bad jobs and you’ll allows have them living with you … I think it’s really unhealthy that people aren’t educating themselves in the most used language spoken around the (developed) world … It’s embarrassing how easy it is for my friend to lose me in a conversation and she is trying to speak better but simple words she doesn’t understand (we are 26 by the way she has always lived in usa). Then she goes on to say how in Spanish cultural family is important … Well I hope it is b.c she will need all the families help she can get b.c she’ll never be able to have a job that pays more than 14$ In America b.c of her language barrier and that’s her families and school districts fault … I don’t understand way it’s so hard to let go and let your little kid be educated for the world they live in not the world you think you’ll someday have b.c you guys are going to make us all speak Spanish someday ? Oh, and your comment saying they are expecting everyone in the world to speak Spanish is just silly and says way more than you realize about you. I think speaking both languages as much as possible is the best method, when teaching children or someone wanting to learn. I also think that continually speaking any language often and in front of someone that you know does not understand, is extremely rude! At least try to make it a point of explaination as to why you are speaking that language that he or she doesn’t understand! We had a close friend that we became distant with because she continually did this in front of us at social gatherings. We knew all of the people spoke and understood both languages, so eventually we felt she was saying something that she did not want us to hear. Unfortunately people always assume that negative stuff is being mentioned about them! When we mentioned to her, our feelings on this. She felt insulted and replied to us, like we were wrong for assuming? I don’t know however, because to me it’s like everyone is whispering to everyone in the group, while staring at you and excluding you from the whispering! Speaking as a non-spanish speaking person. I do think it can be rude to speak in a language only you and a limited amount of people can understand while in front of people who cannot understand it, it is almost like they feel they’re too dumb to comprehend what is being said and it almost feels dirty if that makes sense. I have lived in my state all of my life and I was raised to only speak english. Spanish did not become such a thing in the united states until I was well into adulthood. However, when your speak to your child you should be free to speak to them in any language you want. It is america and you have the right to do so and I completely support this. However, if you can speak english around people who only speak english it seems polite to do so. I’m amazed at the justification being sold here. It’s symptomatic of our society where too many of us consider ourselves to hold an educational high ground at the expense of simple respect and courtesy for and toward others. Speaking a language foreign to those in your presence is simply an educated version of two adults whispering to each other while among others who are fully aware. Paint it as eloquent as you can, it’s really disrespectful. As a Spanish teacher for levels 1, 2, and AP I personally believe it is not rude. Of course, everything depends on how you go about the situation. For example, during school functions such as back-to-school- night, open house and other events, there are times where I have to speak Spanish to certain parents because their English is limited and they are much more comfortable with their native language, Spanish. Some monolingual parents and even school staff very much dislike that I speak Spanish to those particular parents. I however, believe that all parents and students have the right to obtain school information in whichever method they prefer and are most comfortable with. When I speak and give information to parents, regardless of the language I use, it is all the same. I ensure that parents are well informed and if that requires me giving the info to some parents in one language and another to the other parents, then so be it. I do not understand why people get mad. I believe it’s rude to speak your native language in presence of someone who doesn’t speak this language. As for kids, in my opinion, it’s great to teach them two languages but you have to start doing that as soon as they’re born. If some time passes by, it may be too late.